I remember this. It’s the buttered toast myth. I like the show, I can’t deny that. But these guys are such science nerds, I can’t deny that. I love the laws of physics as much as the rest of us (non-Christians) do, but those guys make the show a spinoff from Revenge of the Nerds. 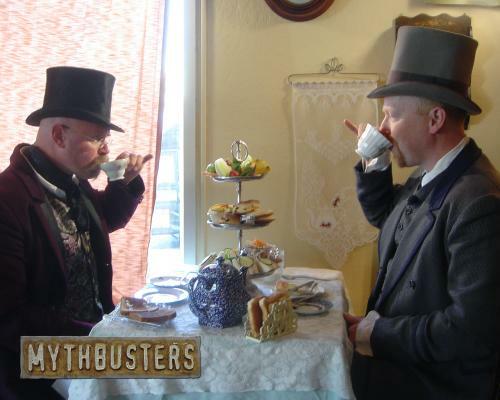 Mythbusters is all about the science-nerd-drama that goes on everytime those two (or more) have a difference in opinion. They’re both crackheads, but funny ones at that. C3 is a less potent explosive, duh! and C-4 is used to implode things.